71 years of waiting for an NL pennant ended last month. Now 108 years for a World Series championship is over. In 10 innings the Cubs scored the final out in Cleveland against the Indians and clinched a title over a century in waiting. It was a back and forth game between the Indians and Cubs both teams seemed to have wanted it, but in the end it was the Cubs. 2016 as it turns out IS their year!!! BTW, tomorrow to honor the Chicago White Sox who 11 years ago brought their own world series title back to Chicago I will post a championship history for them. The first Chicago championship history written on this blog was for the Bears. I had the time not sure why it wasn't done in 2005 well they get one now! 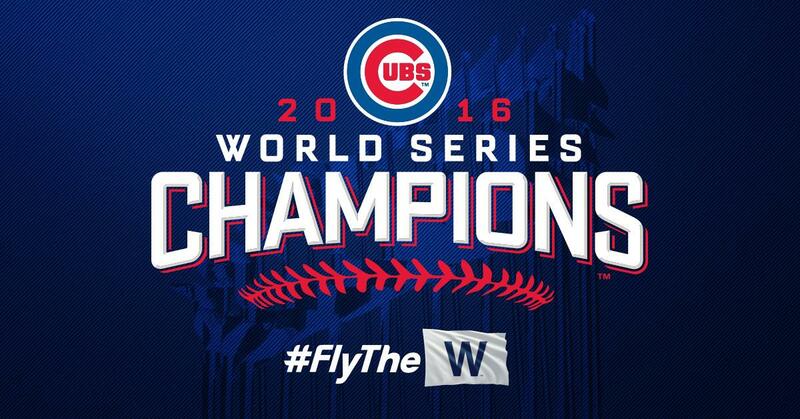 For now this blog will "fly the w" for the Cubs. 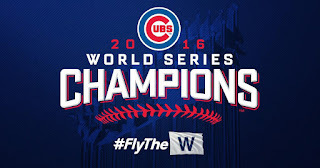 Formally a Cubs world series image will be shown on the blog eventually. Perhaps within the next day or so.